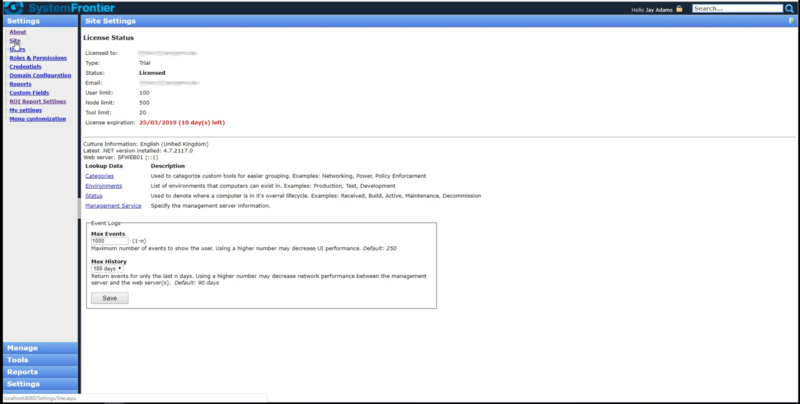 The Site Settings page shows license, culture, .NET, and web server information plus allows configuration of lookup data and event log settings. 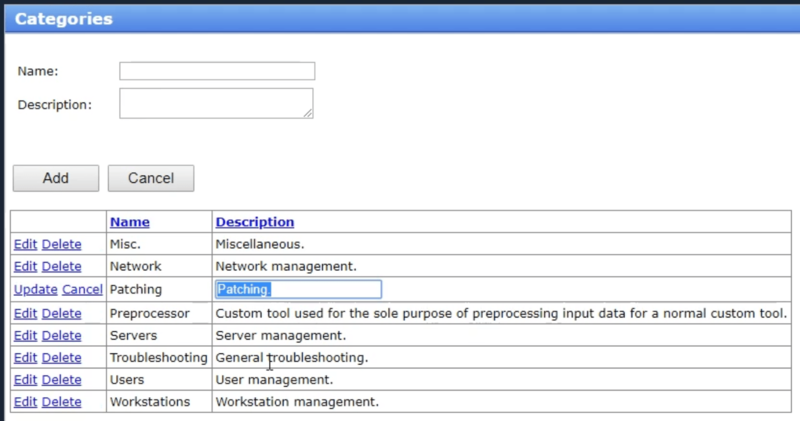 There are 4 aspects that can be configured under the Lookup Data section. Categories can be configured for Custom Tools so that they may be grouped for ease of interaction. You can add new categories or edit an existing one. Objects, such as servers or workstations, all have an Environment field, which helps in distinguishing the usage for any particular object. 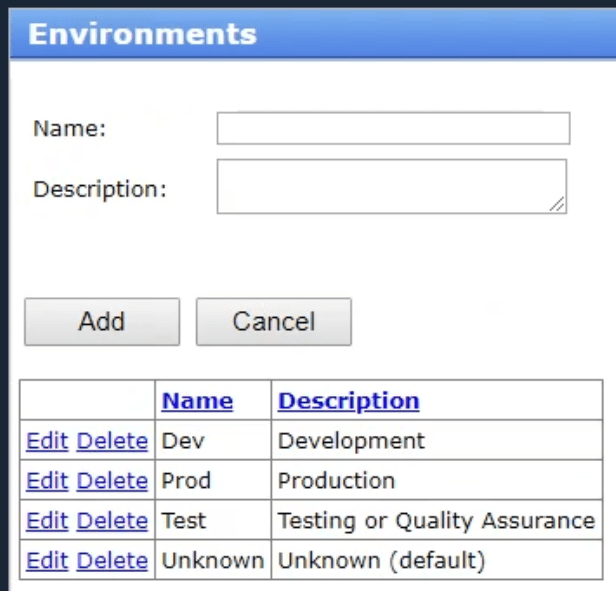 Like in the Categories page, you can add or edit the Environments used for objects in your installation. Computer objects can have different statuses applied to them based on your definitions. 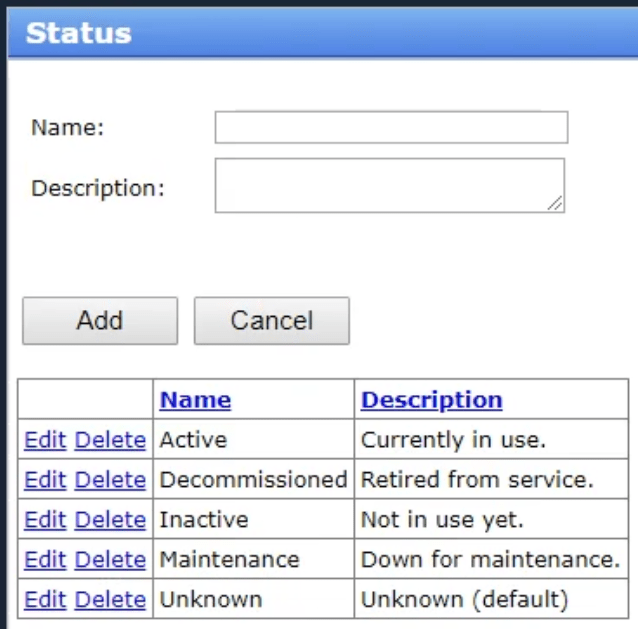 Examples include statuses of Active, Inactive, Decommissioned, or Maintenance. You can use the same status names currently used in your organization, if desired. In the same manner as the Categories and Environments page formats, you can add or edit statuses on this Status page. Though it’s actually a part of the post-installation steps for System Frontier, you can view and configure your management server information here as well. The port of 48500 cannot be changed. If your System Frontier installation version supports multiple management servers, you will be able to add them here. 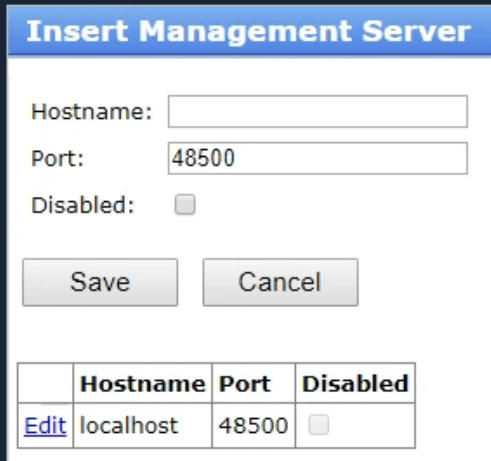 If you need to change the name of your management server or if a different server will be used instead, click Edit, modify the name, then click Save. If there are a lot of Event Logs being returned during a query, it can hinder your UI performance. 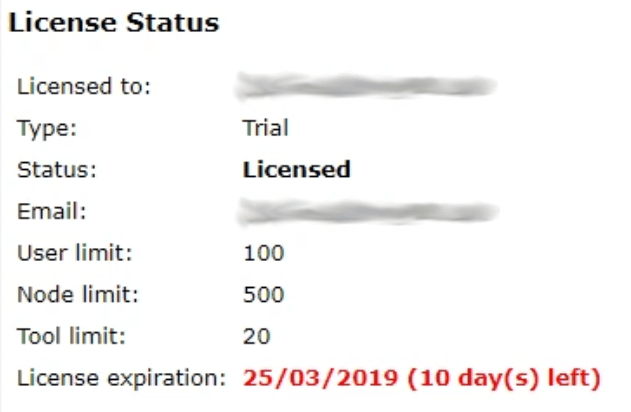 In the Event Logs section of the Site settings, you can limit the number of Event Logs returned as well as restrict the Event Log results to a more recent date range. The objective is to improve the user interface performance. Returning Event Log entries from a computer with a very large Event Log can impact your experience since it can take up resources to pull that information. Confining the number of results to a narrower range will also help if that is something under your consideration.